Mezzo-Soprano Soloist Kathryn Krasovec - Alpha Artists Management, LLC. Kathryn Krasovec has performed on such prominent stages as The Metropolitan Opera, Spoleto Festival USA, Weill Hall/Carnegie Hall, National Theater of Prague and Theater Bremen in Germany and her career spans engagements throughout Europe, North America and the Middle East. Recent and upcoming: Ms. Krasovec's 2018 season began with her singing a world première of a one-woman monodrama The Echo Drift by Mikael Karlsson in the role of Walker Loats at the PROTOTYPE Festival. Recently she returned to The Princeton Festival as Mrs. Sedley in Peter Grimes and sang the world première of Peacemakers by James Aikman with the Indianapolis Chamber Orchestra. Ms Krasovec was heard as soloist with The Princeton Baroque Festival Orchestra in the Bach Cantata BWV 147, Herz und Mund und Tat und Leben and was soloist with Voices Up! in a concert series showcasing new composers in New York City. She debuted in Carnegie's Weill Hall in Mohammed Fairouz's Audenesque as soloist with the Mimesis Ensemble; was soloist with the Oratorio Society of New Jersey in Handel's Dettingen Te Deum and a work by Karl Jenkins, The Armed Man: A Mass for Peace. She made her Princeton Festival debut as Marcellina in Le nozze di Figaro; Spoleto USA debut in Philip Glass’s Kepler; was recently engaged with Beth Morrison Productions of Missy Mazzoli’s, Song from the Uproar; and sang the role of Public Opinion in Offenbach’s Orfée aux enfer with Light Opera of NJ. She has been heard as soloist in Berlioz’ Les Nuits d’été and Bernstein’s Arias and Barcarolles, Mahler’s Lieder eines fahrenden Gesellen, Haydn’s Harmoniemesse, Mendelssohn’s Sinfonie Nr.2 "Lobgesang”, Elijah, Handel’s Messiah and Vivaldi’s Gloria and has sung concerts under the auspices of Choral Nova of Berkeley, CA, Norwalk Youth Symphony, Emerald City Opera and Staedtisches Orchester Trier. She appeared with American Opera Projects in And Death Shall Have No Dominion by Pete M. Wyer, a work celebrating the centenary of the birth of Dylan Thomas. After winning the Metropolitan Opera National Council Auditions, she made her Metropolitan Opera debut as a Woodsprite in Rusalka, performed the roles of Blumenmädchen and Knappen in Parsifal and covered the role of Hermia in A Midsummer Night’s Dream. She became a member of Das Theater Trier in Germany through a fest contract where she spent three seasons. Among her notable European accomplishments was the debut of Frid’s Das Tagebuch der Anne Frank in the role of Anne Frank with the Prague State Opera as well as being the first American to sing the title role in Janáček’s The Cunning Little Vixen and the British Dancing Girl in John Adams’ The Death of Klinghoffer at the National Theater of Prague. Ms. Krasovec later reprised the role of The Cunning Little Vixen at Theater Bremen. Ms. Krasovec many role debuts including: Siebel in Faust, Zerlina in Don Giovanni, Cherubino in Le nozze di Figaro, Carmen in La tragédie de Carmen, Orlofsky in Die Fledermaus, Suzuki in Madama Butterfly, Hänsel in Hänsel und Gretel and Dorabella in Così fan tutte. Within the contemporary world she has debuted roles in The DeCameron, Blood Wedding, Korczak’s Orphans and Dinner and Delusion. 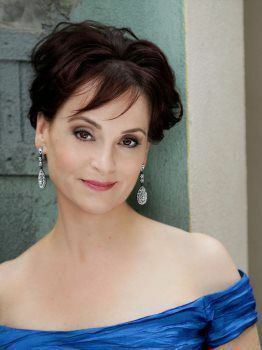 In addition to the international opera companies, her regional credits include; Opera Theatre of Saint Louis, Chautauqua Opera, Hawai’i Opera Theater, NYCO Vox, Center for Contemporary Opera, International Opera Theater, Emerald City Opera, Shreveport Opera and Western Plains Opera. “Kathryn Krasovec was the mezzo-soprano who sang this cycle semi-staged brilliantly and most impressively from memory...Audenesque exhibited Heaney's innate musicality, as dynamic range and dynamic levels were brought to bear in Krasovec's resonant tones." "With a fear of mirrors that was both funny and poignant, Kathryn Krasovec mined an uncharacteristic vein of sadness in Marcellina, embracing her newfound maternal role with a palpable sense of relief."